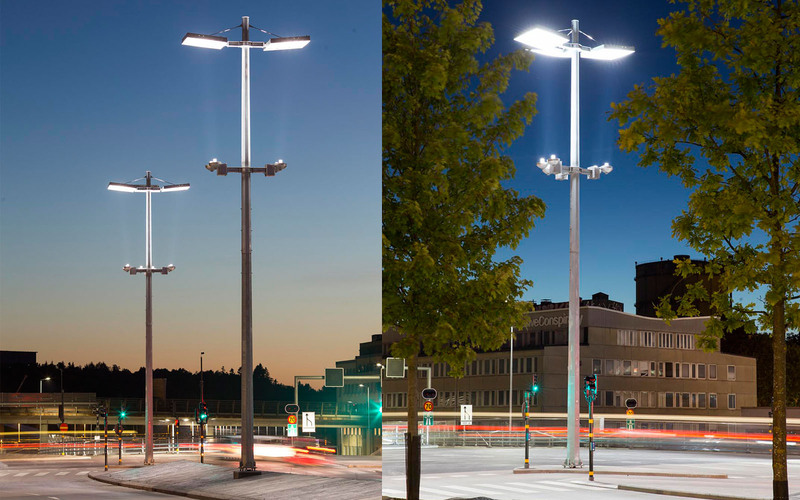 The lighting masts are a project-specific design developed for the Hjorthagen interchange. 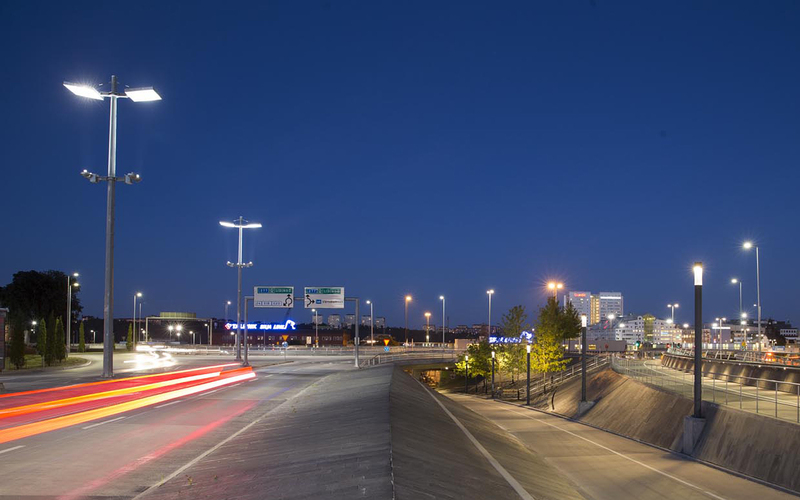 The design aims to emphasize the site’s urban qualities through creating a strong cohesive expression for the lighting system that doesn’t breach the site’s scale. 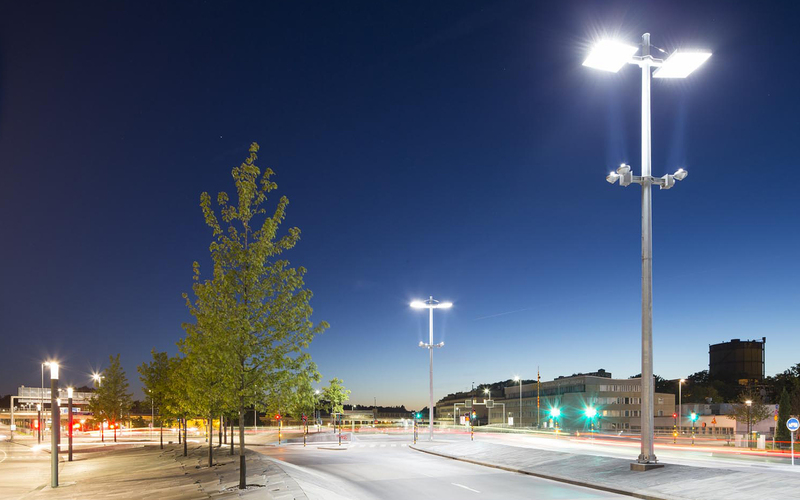 The system is combining the benefits of a high-placed diffuser/reflector with low positioned luminaires, thus providing benefits for maintenance and service.